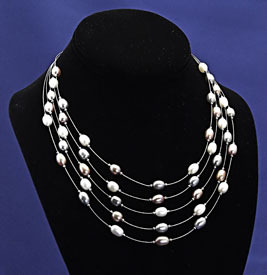 This modern interpretation of the "Tin Cup" style necklace uses fine steel cable to present your pearls perfectly. You'll have five graduated-length cable stands of white, light pink, and grey freshwater pearls, each strand with nine 10 mm by 7 mm oval pearls. The strand lengths are calibrated so the pearls on each successive strand line up together to give you a fantastic look. The smallest strand is 16 inches in length and secures with a spring ring clasp. 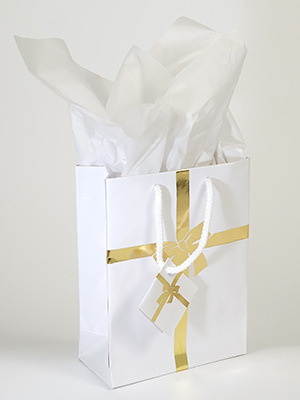 Includes a silky pearl purse suitable for gift giving.